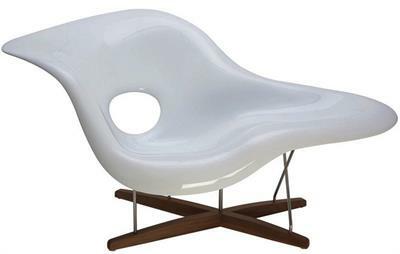 Baha Lounge Chair is inspired reproduction of the classic La Chaise designed in 1948. First presented at the Museum of Modern Art. 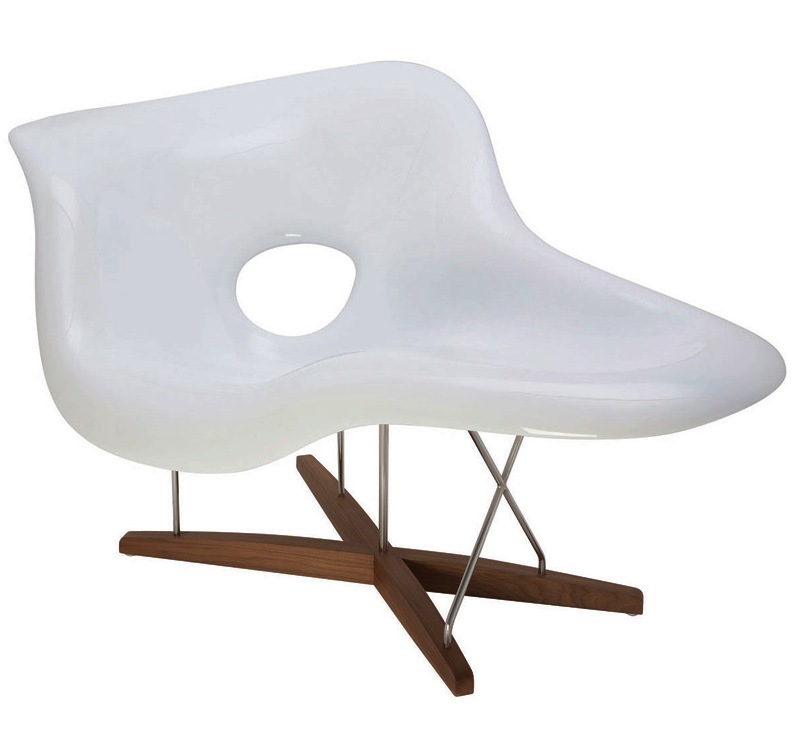 The Baha Lounge Chair's clean, simple form was sculpted to fit the body. Said to be the most significant furniture design of the 20th century. Nuevo Baha Fiberglass Lounge Chair features a durable matte fiberglass shell with a deep seat pocket, stainless steel legs and solid American Walnut base. This iconic chair is ideal for any modern setting. It is a dramatic piece for office reception areas, galleries, museums, and stylish residences. 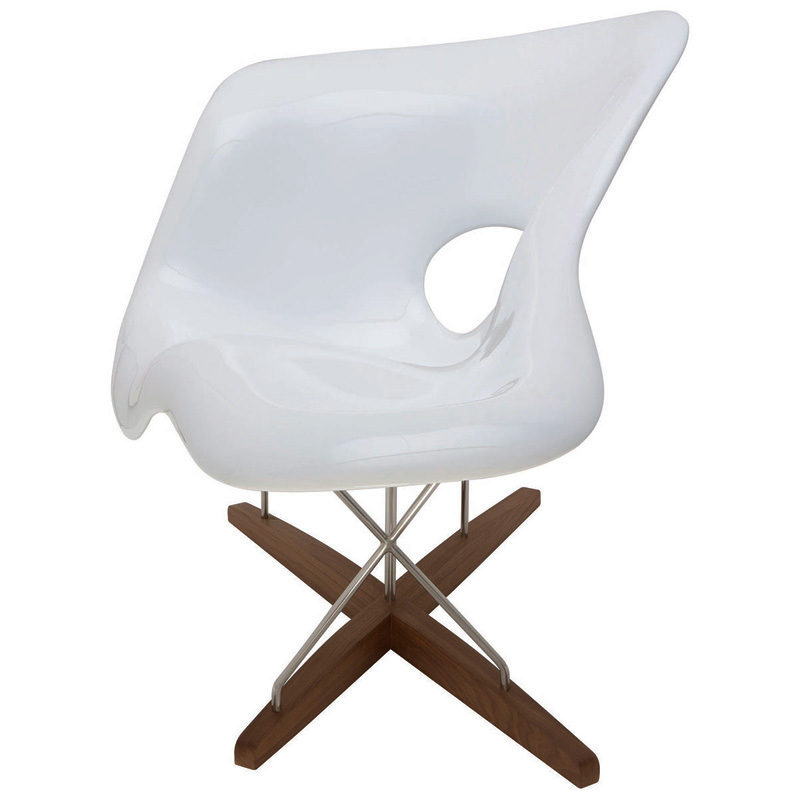 There are many cheaper versions of this chair but Nuevo Baha lounge chair is high end all the way around from fiberglass instead of plastic, stainless steel instead of chrome steel, and walnut base instead of plain wood base. 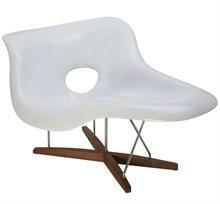 Make this iconic lounger part of your home or office!